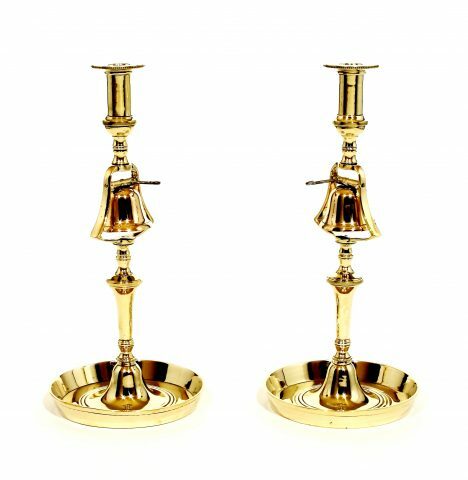 There is nothing like the glow of period brass to brighten a room. 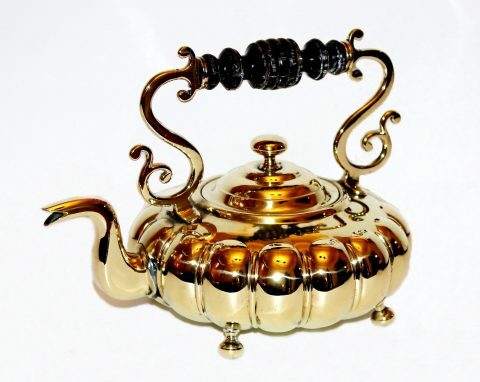 We specialize in period English, French and Continental brass. 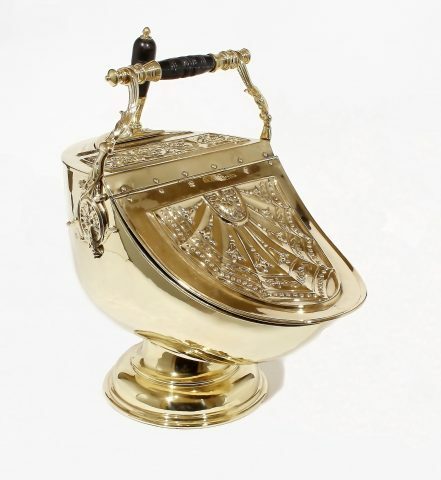 Our stock covers the 16th-19th centuries and we carry every thing from candlesticks to fire place screens/fenders. 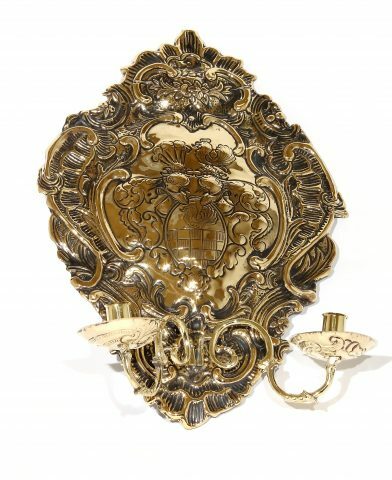 The most interesting items can be our decorative item such as jardinières and chandeliers. 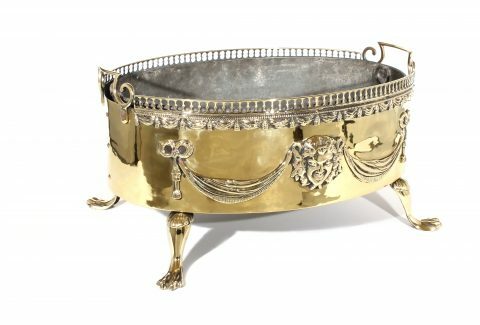 We have been known for our antique brass for over 30 years. 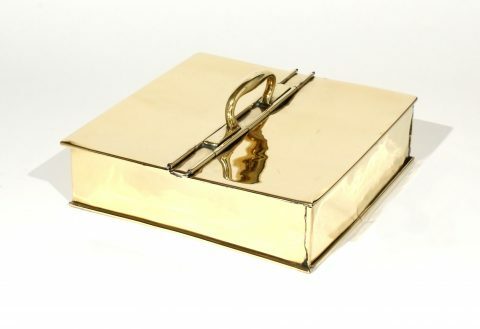 Brass Sheet Metal 2 Arm Wall Sconce with Cast Arms. 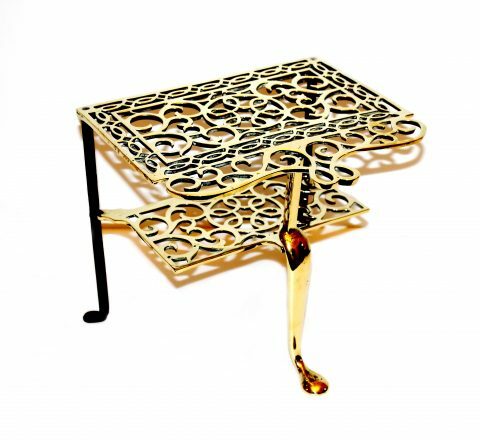 Cast Brass and Steel Trivet. Set of Cast Brass Fire Tools. Set of 3 Decorated Brass Fire Tools with a Pair of matching Fire Dogs. 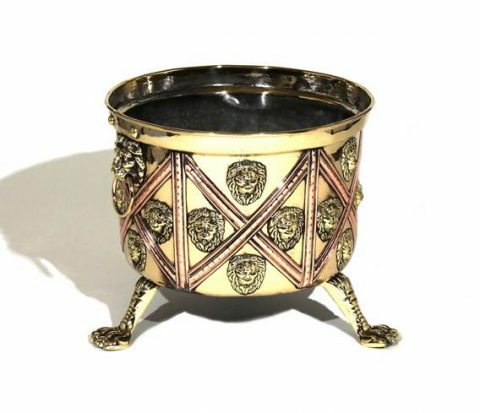 Small Brass and Copper Planter on Legs. 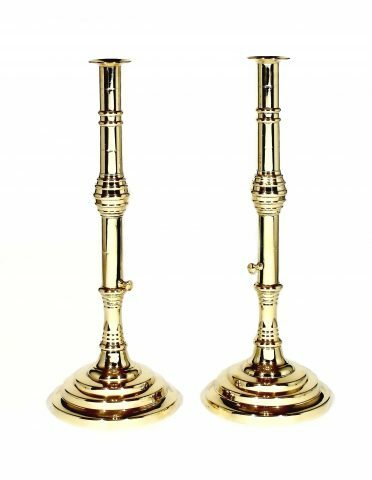 Pair of Brass Side Eject Candlesticks. 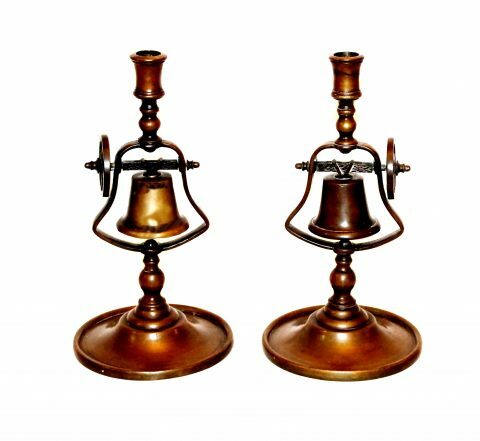 Pair of Patinated Brass Tavern Candlesticks.